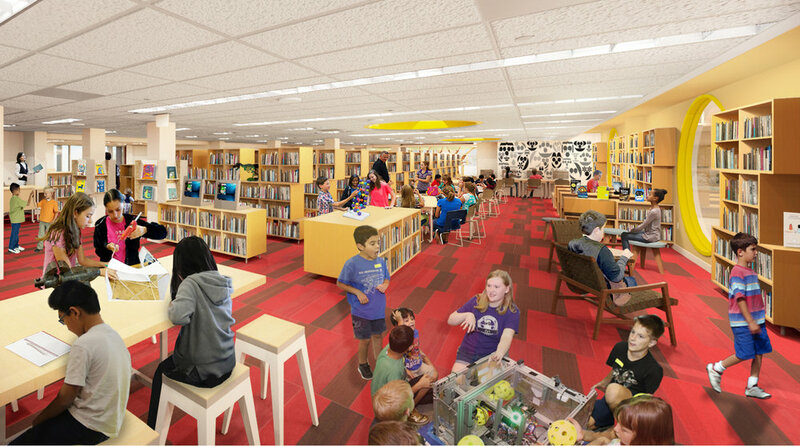 Ideally located and secure, the Roz and Bud Siegel Family Children’s Library will remain in its current location but will be completely renovated featuring new furniture, new carpeting, and an entirely new layout more suited to use by children and families of all ages, including teens. A comfortable family lounge will also be close by on the Upper Level. When complete in 2019, the Roz and Bud Siegel Family Children’s Library will boast many additional improvements including: an enhanced program room, visible activity areas that enjoy views of the Saugatuck River and the Jesup Green, a raised ceiling, improved acoustics, new lighting systems, and enhancements of some of the windows- making them floor-to-ceiling – to provide even greater views of the Library’s beautiful natural surroundings.